Alex Broskow released his first ever video section in 1999. Almost 20 years on, Alex is looking back on more video sections and pro products than almost anyone else in action sport history. But the real accomplishment is something different: He has managed to remain the most relevant, most technical, most diverse and most game-changing person to ever put on blades – for almost two decades. He put a new meaning to “going big” and once he had done it all, he took technical riding to another level. He’s inspired generations of bladers and he doesn’t seem to be done yet. 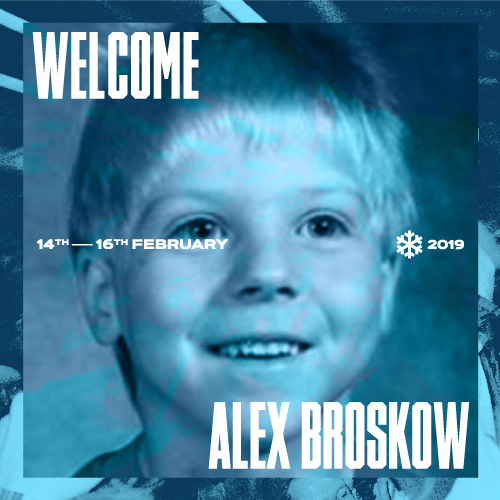 It has been way too many years since his last visit to Winterclash and that’s exactly why we are beyond excited to be able to announce that ALEX BROSKOW WILL BE AT WINTERCLASH 2019!